The fall season is, for many runners, personal best season. Whether you are looking to start running, increasing your mileage for a fall race, or in it for fun and fitness, running shoes coming out this season have one thing in common: they are lighter than ever. We have run in, and tested, most of the newest editions hitting the market this season. Here is a list of the models we strongly recommend to runners of all shapes, sizes and abilities. 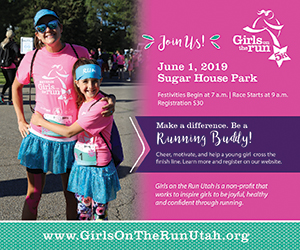 As always, if you have questions about the make and model that’s right for you, be sure and visit your local specialty running store for guidance. Weight: Men’s 7.7 oz. | Women’s 6.6 oz. 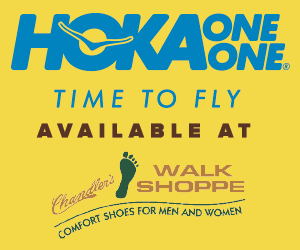 The Hoka One One Clifton is an all purpose running shoe that can be used for a variety of different runs. It combines an ultra-lightweight frame with maximum cushioning, delivering a shoe that is useful for both racing and training. 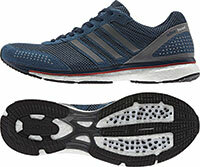 The shoes feels very lightweight, and its rockered profile seemingly propels the runner forward. The Clifton is a good choice for (neutral) runners of all abilities and those looking for a shoe that has the comfort of a daily trainer but is also light enough for racing. Weight: Men’s 11.4 oz. | Women’s 9.4 oz. Asics’ popular high-end cushioned neutral trainer, the GEL-Nimbus, returns in a 16th version. The FluidRide midsole continues to provide exceptional cushioning while the updated Guidance Trusstic System provides a smooth transition. Increased gel has also been added to rearfoot to help further enhance the already smooth ride while providing a springy resiliency. The FluidFit upper has been altered to help better the overall fit from that of the preceding model. Wear testers enjoyed the ride that allowed them to comfortably log many miles right out of the box. Many were also pleasantly surprised at the shoe’s flexibility and reasonably quick transition. Weight: Men’s 9.3 oz | Women’s 7.3 oz. While the Skechers GOrun Ultra – Extreme may look bulky at first glance, this shoe, despite the high-volume cushioning underfoot, is actually quite light. Trending towards “maximalism” in the protection department, the shoe feels much lower to the ground than it seems and the ride is very pleasant. 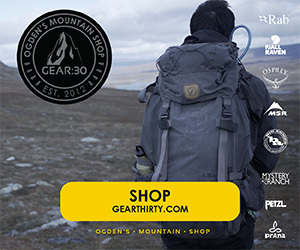 At home on the road or trail, the GOrun Ultra – Extreme features an all-weather upper that repels water and keeps the foot dry in wet conditions. 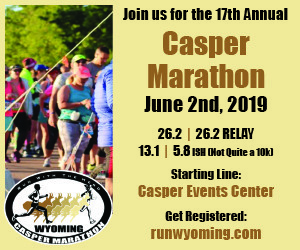 While perhaps not optimal in warm weather, runners will appreciate this offering when the weather turns in the months ahead. Weight: Men’s 8 oz. | Women’s 6.6 oz. 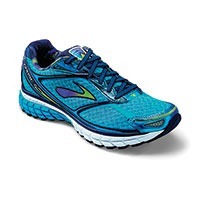 The Mizuno Wave Sayonara 2 is a lightweight neutral offering for competitive runners racing the half marathon to marathon distance, or for recreational runners who enjoy a shoe that simply feels fast. The Wave Sayonara 2 provides adequate cushioning for long runs, but the firmness of the out-sole may be too rigid for runners used to a softer platform. 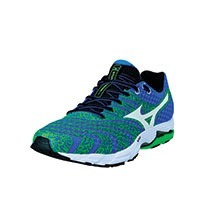 Except for a few minor changes to the upper, Mizuno maintained the same package as the original Sayonara. Weight: Men’s 11 oz. | Women’s 9 oz. Lighter and faster than ever before, the Nike Pegasus 31 celebrates one of the longest-standing shoe traditions in the industry. The soft upper will accommodate a wide variety of foot shapes, and the plush, neutral ride feels great on the road. Backed by the likes of Olympic Gold Medalist Mo Farah, this new installment to the Pegasus legacy is sure to please, whether this is your first pair or your thirty-first pair. Weight: Men’s 7.7 oz. | Women’s 6.5 oz. Adidas combines two of its most popular running shoe offerings into one great package with the Adios Boost 2. The Boost foam provides a protective ride for longer races and workouts, while the Adios platform maintains the speed and responsiveness of this original classic. 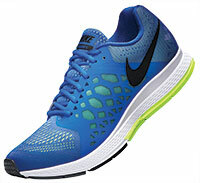 Competitive runners will be pleased with the no-frills upper on top of the brand’s latest cushioning technology. The toe-box is a bit narrow, so runners with wider feet may need to size-up for maximum comfort. Weight: Men’s 5.5 oz. | Women’s 4.6 oz. 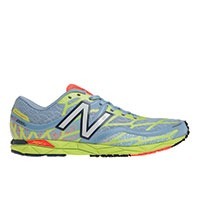 The New Balance 1600v2 is a light, fast racing option for the 5K-10K distance all the way up to the marathon. 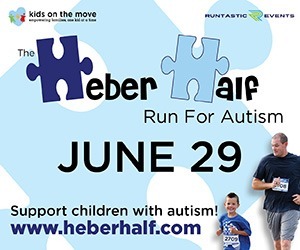 The upper hugs the foot like a glove, and the ride is very responsive with enough heel cushioning to go the distance as one’s stride mechanics tend to deteriorate. Efficient runners may enjoy this shoe for road workouts and tempo runs, but the NB 1600v2 shines brightest for speed training and race day. Weight: Men’s 7.7 oz. | Women’s 6.7 oz. The Kinvara 5 continues the legacy of perhaps the most prolific lightweight neutral running shoe on the market. Designed with minimalist principals, the Kinvara 5 features a great deal of flexibility combined with more than adequate cushioning in both the forefoot and heel. The Kinvara 5 is a shoe that can handle high mileage; and, it can also be worn as an all around trainer capable of faster paced workouts and marathon distance racing. If you’re looking for a lightweight running shoe, the Kinvara 5 is a must-try. Weight: Men’s 10 oz. | Women’s 8.3 oz. Karhu brings to bear their latest stability offering with the Steady3. Using their signature Fulcrum technology on the sole, this shoe boasts a smooth ride and greater efficiency. This is a great entry level shoe for someone looking to start adding on serious miles. Testers enjoyed the roomy fit of the shoe and the innovative design that it brought to the table. Weight: Men’s 10.4 oz. | Women’s 8.6 oz. The Brooks Ghost 7 continues to be an ideal shoe for the runner looking for a quality everyday neutral trainer with plenty of cushioning. The new version comes in slightly lighter than the previous model, however it still retains the overall cushioning that runners have come to expect from heel-to-toe. Brooks keeps things simple year after year, with the main enhancement for the Ghost 7 being the addition of the newly integrated Brooks BioMoGo DNA into the midsole. 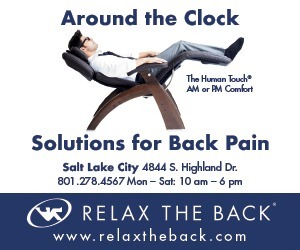 This allows for ample cushioning and a smooth ride without sacrificing responsiveness, stability or overall performance. The Ghost 7 is a perfect shoe for those runners looking for a shoe capable of handling the demands of higher mileage, yet is adaptable for smooth and fast training runs. Weight: Men’s 7 oz. | Women’s 6.5 oz. 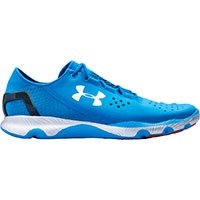 The Under Armour SpeedForm Apollo is a lightweight shoe looking to inspire runners with a fresh take on fast running shoes. Featuring an upper with manufacturing techniques borrowed from bra design, the shoe holds close to your feet and even has a completely seamless heel cup. The sole, with rubber in the pattern of a foot x-ray, lacks a bit of grip. Although it has such a streamlined and lightweight build, the SpeedForm Apollo holds up well for distance running.